What a cute idea! 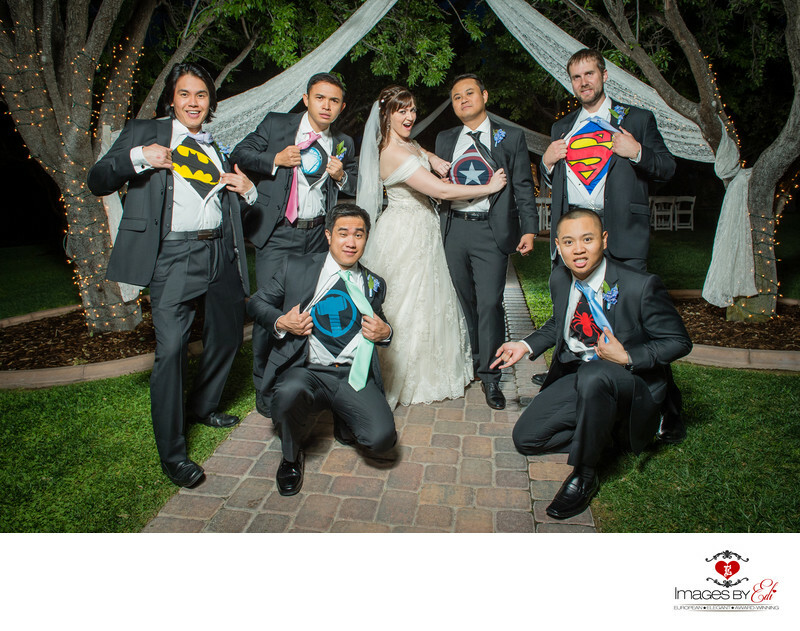 The groom and all of his groomsmen was wearing superhero T-shirts under their tuxedos at their Grove Las Vegas wedding, what makes it a superhero wedding. The groomsman opened their shirts and the bride opened it for the groom to reveal their alter ego. Batman, Iron Man, Captain America, Superman and Spiderman. Location: 8080 Al Carrison St, Las Vegas, NV 89131.